WATCH: Schalk Brits, saint ... or sinner? London - English rugby champions Saracens will host their annual 'Big Game' at Tottenham Hotspur's new state of the art stadium from next season the clubs announced on Tuesday. The two sides have signed a five-year deal and will see rugby join the NFL in playing matches at Tottenham Hotspur Stadium, which after prolonged delays will finally host Spurs' first team in Premier League action on Wednesday. Saracens have in recent years played their 'Big Game' - normally against Harlequins - at either Wembley or the London Stadium. "As someone brought up at White Hart Lane, for me and Saracens it's a really special opportunity for us to partner with our fellow north Londoners, with whom we share so many of our core values," said Wray. "Together with Spurs we have the opportunity to create something very special in north London. I really do look forward to seeing our partnership come to life!" Spurs chairperson Daniel Levy said the deal would be of enormous financial benefit to the neighbourhood. "To attract one of world rugby's biggest club sides will bring a new audience to the area, as well as help drive significant socio-economic benefits for businesses and local people," said Levy. Aside from the 'Big Game' the stadium - which has a capacity of just over 62 000 - will welcome two NFL matches in the 2019 season. 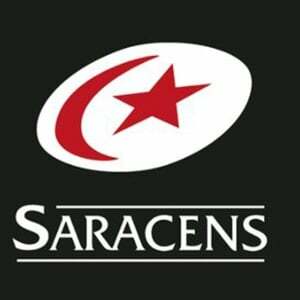 Saracens Rugby Club and @spursofficial are delighted to announce an exciting five-year partnership that will see Sarries play its annual showpiece fixture at the new, state-of-the-art Tottenham Hotspur Stadium. ?? ?